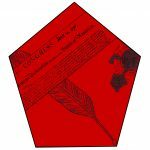 Instead of Americans playing with Spades, Diamonds, Hearts, and Clubs we can now play with playing cards that represent our Country and Foundation. Our suits are the ones above, Faith, Declaration, Revolution and Unity. Our founders were United by Faith our 1st suit, declared their Independence the 2nd suit Declaration, won a Revolution the 3rd suit and formed our Republic the 4th suit Unity. 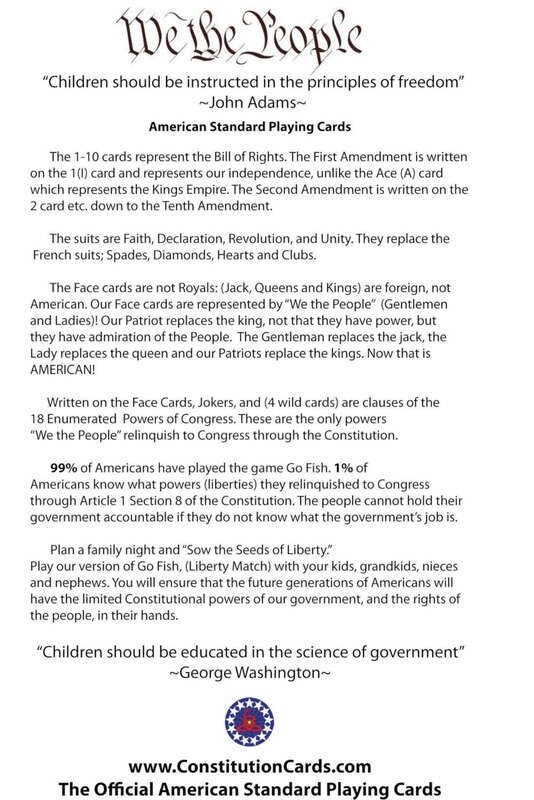 The I-10 playing cards make up the Bill of Rights, we wrote each Amendment on their respected number, ex…the number I playing card has the First Amendment written on them, the number 2 playing card has the second Amendment written on them, etc..down to the Tenth Amendment. 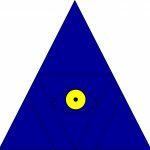 In a regular deck of playing cards the Ace is the high playing card and represents the Kings Empire. Our high card is Independence, instead of the letter (A) we used (I) for Independence. Our face playing cards are made up with figures that represent “We the People” No Jacks, Queens or Kings which are foreign to this land, but with American figures, Gentlemen, Ladies, and Patriots, the Patriot replaces the King! Our 2 Jokers are the Kings and Queens crown, The King of Tyranny and The Kings Queen. We left the old suits on these playing cards as well. 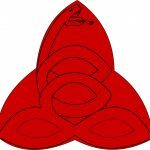 We needed four more playing cards to complete the deck, we call them our Foundation / Providence playing cards. Under the Faith suit we have the Ten Commandments, our Declaration suit has the Declaration of Independence, the Bill of Rights falls under the Revolution suit and finally we have the United States Constitution under the Unity suit. So again our founders were united by Faith, declared their Independence, won a Revolution and formed our Republic. 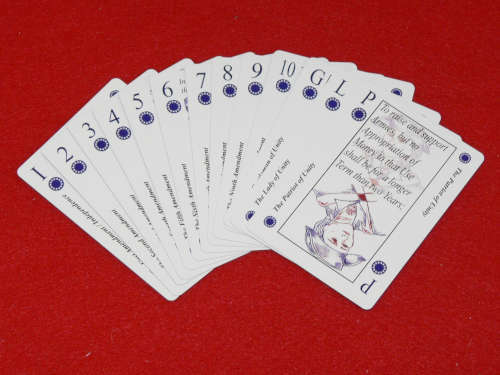 If you take the 12 face playing cards, 2 Jokers and 4 Foundation playing cards you have a total of 18 playing cards. 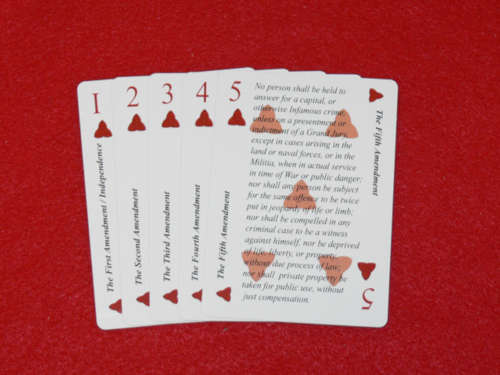 These playing cards have 1 clause written on each playing card from Article 1 Section 8 of the U.S. Constitution. 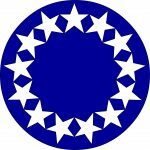 Article 1 Section 8 are the only powers We the People relinquished to the Federal government through the U.S. Constitution. 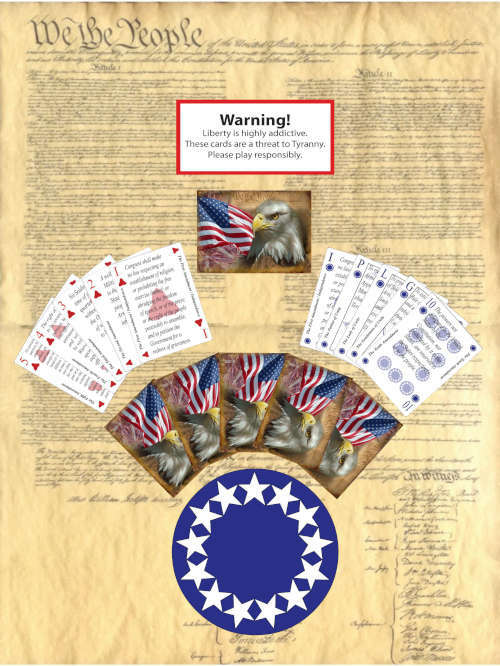 Not only do these playing cards represent the people of America and her founding, but they also can be used to educate people on the Limited powers of Congress under Article 1 Section 8 of the Constitution and our unalienable rights in the Bill of Rights. In 1776 our founders declared their Independence, honor their sacrifice and remove the Royals from out playing cards. Join the REVOLUTION and remove the King one more time.